Our objective is to achieve maximum value for our clients by providing carefully researched and professionally delivered advice. We have experience across a wide spectrum of schemes from large mixed-use developments to smaller localised projects across all sectors. Through our extensive links with agents, developers and property/construction consultants we are strongly placed to identify the right opportunities for development and the best solution for any site. We aim to determine the optimum development approach for each project by clearly evaluating the financial, environmental, technical, legal and planning implications. This enables a comprehensive appraisal of any site or property which, in turn, will establish project viability and ultimately inform our clients’ business decisions. Victoria Chell, founder of Libertas, is a Chartered Planning & Development Surveyor and will be your principle point of contact on all projects. 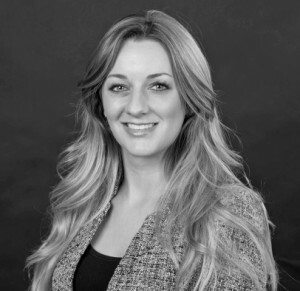 Victoria has over 11 years of experience in the property industry and is highly regarded by clients for her attention to detail and thorough approach. Victoria was formerly a Director of RLF Morgan Devey, a subsidiary of the national surveying firm Robinson Low Francis LLP, where she was instrumental in developing and promoting the Development Consultancy division. As a dedicated professional, Victoria offers specialist advice to occupiers, land owners, developers and investors in many areas including, but not limited to, site finding, acquisition advice, development appraisals, development strategy, option studies, financial modelling and due diligence.